A new era begins tomorrow for the Spanish national team as new manager, Luis Enrique announces his first squad. 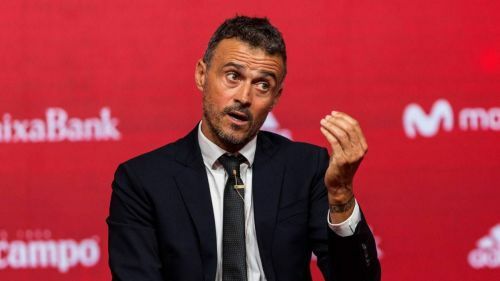 La Furia Roja had been on a downward spiral since winning the Euros in 2012 and the hope is that the former Barcelona manager will bring the fresh approach needed to revitalize the former world champions. "The problem I have is that my list of 70 players has now gone to 72," he explained on Spanish TV during halftime at the Supercopa de Espana. "I have many options to choose from. That’s how I prefer it." A large part of the Golden Generation that won three titles between 2008-2012 has departed and the team that will go up against England and Croatia in the UEFA Nations League in September will reflect this. Therefore, there will be a need for Enrique to identify and nurture new on-field lieutenants to carry out his plans. The style of play is expected to be different as well with emphasis on faster-attacking transitions with less possession and more risk-taking. For this, he will need young and dynamic attacking players. With the retirement of David Silva and the continued decline of Juan Mata, La Furia Roja is crying out for a dynamic left-footed attacking player. In Real Sociedad’s Oyarzarbal, they seem to have found the answer. 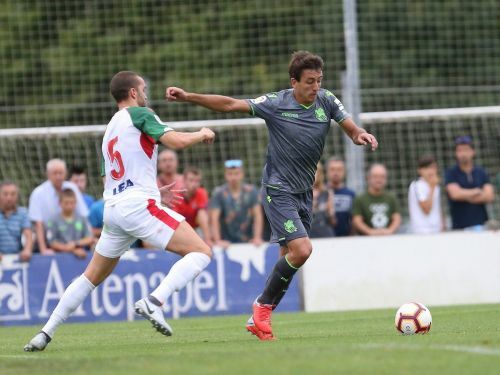 The Eibar-born winger has continued to grow season and season and looks set to have a breakthrough into the national side following three years of being on the fringes. A pocket-sized dynamo, he relies more on his intelligence than pace to make things happen, he plays for his club side as a winger who has the freedom to drift inside and get involved closer to goal. This was a position that Silva excelled at during his early days before he eventually became a full-time playmaker. He seems to share certain traits with Spain’s 4th highest ever goalscorer: an awareness of what is going on around them, silky dribbling skills, an eye for a pass among others. It is unclear whether Enrique will allow him to reprise the Silva role but even if he is played as a winger, his crossing and ability to beat his man will mean that the strikers will get plenty of ammunition to work with. With only one national cap under his belt (against Switzerland in 2016), Oyarzabal will be eager to impress and stake his claim in the new-look La Furia Roja side.